The man who kicked off the sequel trilogy in 2015 with Star Wars: The Force Awakens is returning to finish it. Lucasfilm announced today that JJ Abrams would be taking over writing and directing duties on Star Wars Episode IX. 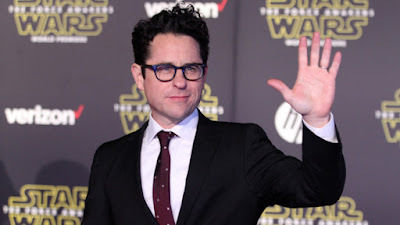 The news comes less than a week after it was announced that Colin Trevorrow, who had been slated to direct the the upcoming film, had left the project. Lucasfilm also announced that Abrams will co-write the final instalment in the sequel trilogy with Chris Terrio. With The Force Awakens, Abrams brought Star Wars back to mainstream audiences in a big way. The film grossed over $2 Billion world wide and received five Academy Award nominations. It also won two BAFTAs, three MTV movie awards, five Empire Awards, and eight Saturn awards. Terrio is a newcomer to Star Wars. He won the Oscar for Best Adapted Screenplay in 2012 for his work on Argo (which also won Best Picture). He also has experience working on big budget franchise films, having co-wrote the story treatment for the upcoming Justice League film. Star Wars Episode IX is currently slated for a May 24, 2019 release date. UPDATE: In a move that surprises no one, the release date of Star Wars Episode IX has been moved to December 20th, 2019! Really Disney you had to go back with that hack of a director. Mate, a concussed chimpanzee with Tourette's could do better. Look, TFA wasn't a bad film, but it seriously wasn't as good as it could have been (compared to Rogue One, for instance, which was leaps and bounds better), and that seems to be the case with Abrams - it doesn't take a genius to take a franchise that everyone's crying out for and get some bums on seats for it. The proof of the pudding is how happy those bums are afterward, and I was a bit "Meh" about it. I don't think I'm alone in that, and I REALLY wanted it to be brilliant. that said, i'm very meh about Jar Jar doing IX. Explain why people then chose to see TFA multiple times in the cinema then? I'm talking more than 5 times here.